Believe it or not, there are many people who still believe that the Maya civilization holds the secret to the future of humanity; buried beneath the ruins yet to be discovered. Well that is what led a man from San Bruno near San Francisco California, USA to Belize and even more specifically, to San Pedro Ambergris Caye - who consequently got lost for almost 24 hours in the jungle of northern Ambergris Caye following his “Indiana Jones” type story. 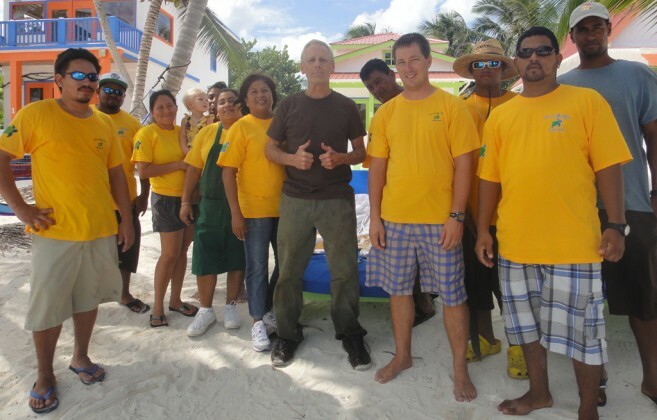 The 56 year old man flew in from USA, in search of clues that would lead him to the secret to “the future of humanity.” The man decided to travel to northern Ambergris Caye, with help of satellite images, to locate a mount that holds the buried secrets. The man further claimed that he saw the remains of the mount, fitting the description given by many historians and archaeologists. He claimed that the ruin is about 25 feet high covered by the overgrown trees but is untouched near a cenote. While trying to return to the beach from the jungle, he got lost for almost 24 hours and was rescued by some workers one mile west of the beach in a swampy area. The man revealed his “Indiana Jones” type story while receiving treatment at the Dr Otto Rodriguez San Pedro Poly Clinic II where he was receiving treatment for severe dehydration and muscle cramps. According to Isabelle Settle, Administration, Guest Services and Human Resources Manager at Tranquility Bay Resort, the Tranquility Bay staff heard a gentleman shouting ‘help me’ from far in the bush behind the resort. "All the staff, and manager Carlos Settle gathered, and then divided themselves in a few groups and ran straight in the bush. After about 30 minutes, one group found him. He was trying to find his way out of the wood but he was hardly walking and stumbling after every step. Some of the staff came back to the resort and grabbed towels, water, sugar, pedialyte and brought stuff for him. He was brought back to the resort with the help of the manager and staff, fed, covered and of course was given some more sweet water to drink. We also took care of cleaning his bug bites as he was covered with them. The guy was shivering, fully dehydrated, covered in bug bites as well as having his hands spastic with cramps. One of the staff drove his golf cart back to town and we took him to the polyclinic by boat,” said Settle. “We wish him good luck and I'm really proud of all the Tranquility Bay Resort staff for handling this as a team willing to help whoever was yelling from the wood ‘Help me!’ ended Settle. The man has since been treated, questioned by local police and released.